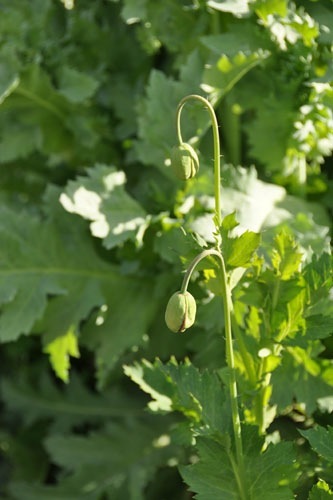 In a month or so everything is going to go nuts in the garden for a few weeks. Apart from weeds, which are already going nuts, of course. You people in freezing climates count your blessings for a season free from weeding. Now, let's go for a walk around the garden. 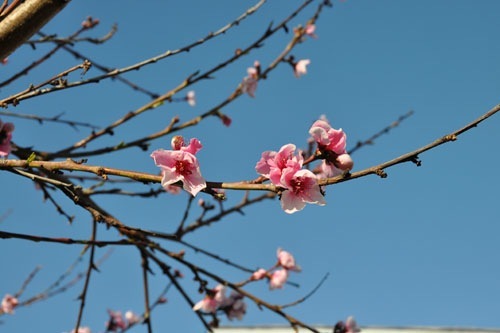 This week we got what I consider the first sign of spring: nectarine blossoms. Which is why it's going to rain tonight or tomorrow and ruin them, right? Because this has been that kind of winter. 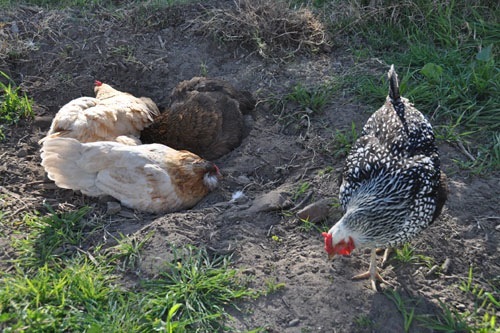 This weekend we let the chickens out for a little playtime in the yard. After free-ranging for months, they got cooped up again because they were laying eggs in the shrubbery instead of their nest box. They spent most of the time taking an extravagant dust bath. The Lady Janes are back again. 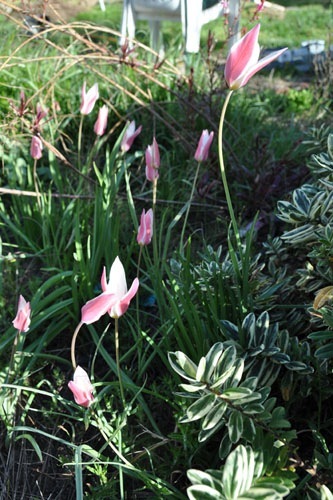 The ordinary big fat Dutch tulips are an expensive and temporary treat around here, but the small tulips that are closer to the original tulips from Turkey seem to do OK. 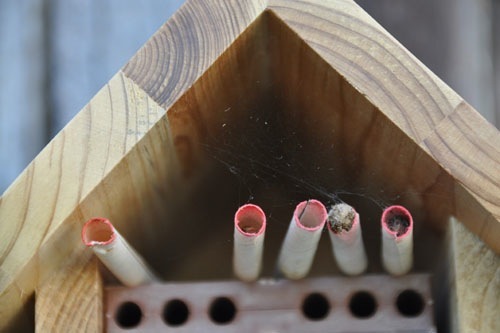 This year I got an orchard mason bee house and some bee tubes. I put them out last week, and they are starting to hatch just in time for the nectarine bloom. The house came with a stick-on plastic door thing, but the tube didn't fit there with it in place, and also it kind of looks stupid, so I left it off. Our little spiders have already decided the house makes a good home and set up some nests, as well. 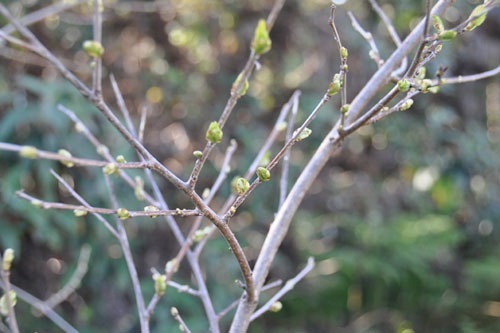 My 'Blue Skies' lilac has several pannicles (your garden vocabulary word of the day) getting ready to bloom. This has nothing on the lilac in my parents' back yard, but it's about as good as you can get in this climate. 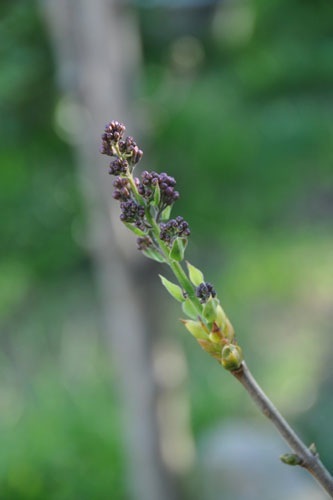 After several years, the lilac has reached about four feet, which may be partly attributed to growing in a bed just packed with invasives. The new quince out front is budding now, too. If this quince is anything like the last one it will be a major producer from day one. 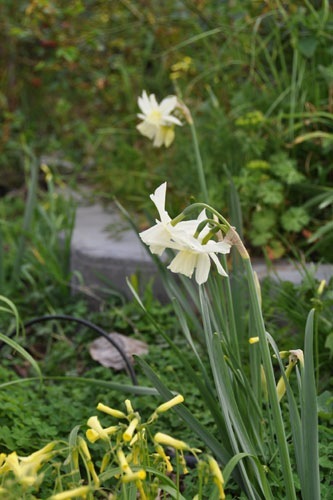 The daffodils that were budding last week are now open, and looking pretty good. The real test is how well they do next year and the year after. Around the crabapple tree at the corner of our lot, I planted a bunch of papaver poppies (as opposed to California poppies). Taking the advice of Annie from Annie's Annuals, I planted them in the fall for a big explosion in spring, and she was right on, folks. These plants are huge now, and it looks like there will be quite a show from them. And let's finish with an old favourite. 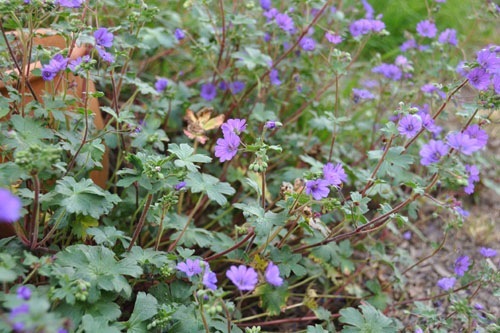 The Bill Wallace geranium is having a peak bloom right now. I had a gardener come by Saturday (yes!) and she was very impressed by how they look. Maybe it's just in contrast to the mess the rest of the garden is in. I have high hopes of being able to hire a gardener sometime soon. Look at me and my first-world problems.